Data loss is one of the problems that most Android users will encounter. There are many reasons for data loss, for instance, factory resetting restoration, device rooting, system upgrade failure, virus attack, accidental deletion, battery replacement, formatting, physical damage, mechanical dysfunction, system file malfunction and so on. When data loss occurs, especially in the absence of backup, it is almost impossible to recover. However, nothing is absolute! According to the data recovery principle: "As long as the deleted data is not overwritten, it is likely to be recovered even if have no backup." Wonder know how to recover deleted files from Android without backup? Read the following tips to seek out the answer! 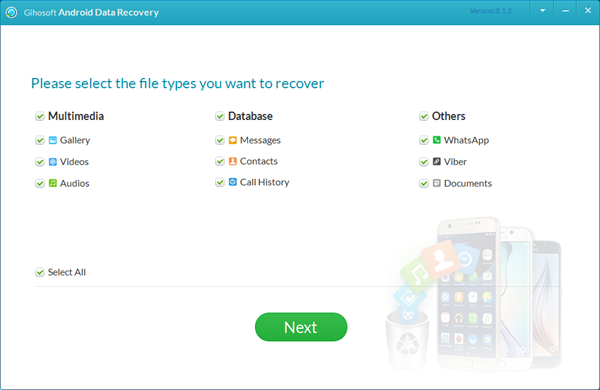 Gihosoft Free Android Data Recovery is a professional Android file recovery software that enables you to recover deleted photos, music, videos, messages, contacts, call history, WhatsApp, Viber and more from Samsung, Huawei, LG, HTC, Motorola, Google, Oneplus, Sony, Lenovo, ZTE and other Android devices directly. Just refer to the following steps to find out how to recover deleted files from Android via Gihosoft Android Data Recovery Free. Download and install the latest version of Android Data Recovery Software on your computer, then run it to select the file types you want to recover. Enable USB debugging on your phone and connect Android to PC via a USB cable. Then tap Allow or Ok on your phone’s screen to authorize the program. Once connected, tap the Start button and wait for our program to scan lost data on Android. It will take a while to scan the lost files. 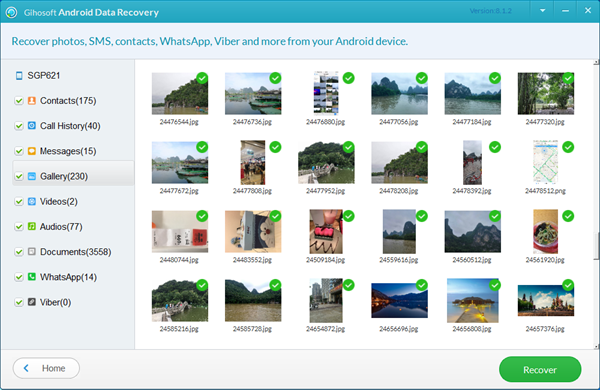 Once completed, You can go to the specific category to preview them and check the one you wish to recover, then click the Recover button to recover deleted files from Android. Please note that the free version can only allow you to recover call logs, audios, and documents for free. If you’d like to recover more data like photos, messages, contacts and more from Android, then you need to upgrade to the pro version. How to Recover Deleted Files from Android? We can ask help from Android Data Recovery tool before they are overwritten by new data. Just connect Android to computer via usb cable, open the program. All deleted files, including contacts, text messages, photos, videos, call logs, etc will be scanned out, just choose data you want to recover. Great post. I still recommend you to backup your android phone every week at least although you can use this program to find the deleted data. After my test,I found a efficient data recover program called Mobikin Doctor for Android,which can recover contacts,messages,call logs,photo,music,video,document,etc. If you want to find the best Android Data Recovery, I recommend you to use Aiseesoft FoneLab for Android. It can scan your Android based smart phone and SD card deeply to find the deleted and lost data for you. You can preview the data before recovering. It can get back messages, photos, videos, contacts, call logs, whatsapp messages, music, books and other document files for you. 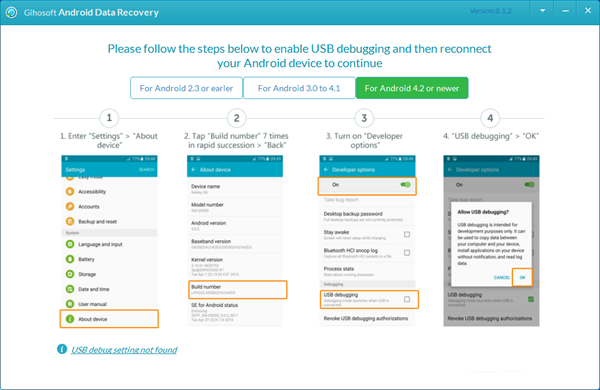 Thanks for your sharing,I'd like to share 3 top method for Android recovery method,it provides three efficient way to recover deleted folder on Android. It may useful to you.